It was not the ideal location for a gourmet Italian restaurant. The Strip at Geneva-on-the-Lake is where people go for a hot dog, fries, shake or lemonade — not wild-mushroom ravioli, veal meatballs and mussels. Gianpiero Piras and his wife Cindy Nappi Piras ignored conventional wisdom and in May 1997 opened their Italian restaurant in a street-front section of what had been a burlesque theater. 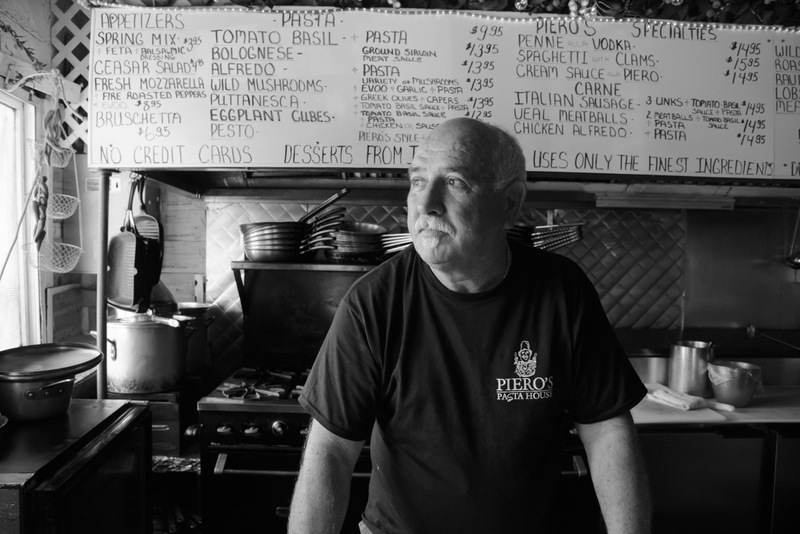 Nearly two decades later, Gianpiero, 66, and Cindy, 65, continue to provide an alternative dining option and fuel the evolution of The Strip’s dining culture at Piero’s Pasta House, 5367 Lake Road. “When we started, I never thought it would be like this today,” Cindy says, reflecting on the restaurant’s success. 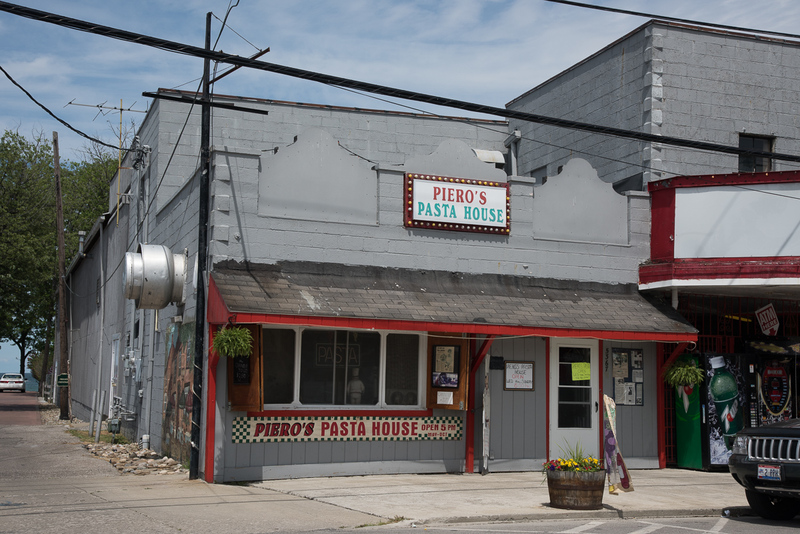 Piero’s has become as much a mainstay on The Strip as Eddie’s Grill and Times Square, despite having a shorter track record. Gianpiero says their clientele is not, for the most part, first-time visitors to the resort town or those who come for the night life and amusements. Rather, the diners who come to Piero’s are likely to have been there several times previously and are making a special trip to the village just for the food and the experience of watching a pro dote on their meal. How good is the food? The couple turn people away some nights because the intimate venue has no room. But the real proof may be in the fact that the owner of the restaurant where Gianpiero worked as a cook, Giovanni’s in Beachwood, makes the trip to GOTL to eat at Piero’s. One online reviewer noted that they drove four hours, from Detroit, for the veal medallions and lobster ravioli. Piero’s season is longer than most restaurants on The Strip. Piero’s opens Mother’s Day weekend and closes at the end of October, with a special gourmet dinner where Gian gets to be creative and test out new ideas. Last year it was a cream sauce ala Piero with ground chuck, cognac and penne pasta. The restaurant is open Wednesday through Sunday, 5 to 9 p.m. It is a small operation, and by the time the first customers order their meal, Gian will have put in nearly a full day of preparation. And he will be cleaning up long after the door is locked. On a recent Thursday afternoon, Chef Gian was doing it all, including carrying out the empty boxes to the trash, because his employee had decided to skip work. “You lost your help today?” I ask Gian. “No, he’s the one who lost,” Gian replies. If Gian seems a bit gruff at times, it is because he has an intense passion for doing things right, and especially so when it comes to food. That passion is to create an authentic Italian dining experience using the best ingredients possible. Many of those ingredients are imported from Italy and are brands he has used for years. He orders the top tier of every product, says Cindy. Great ingredients can’t stand on their own, however. It takes a master of the craft to blend them in the right proportions and at the right time. “It’s all in the timing, when you put it in,” Cindy says. While he grew up in Rome, Gian harvests culinary traditions from all over Italy for his dishes. He also pulls from his prior jobs and experiences, and he is always experimenting. Although not formally trained as a chef, he owned a restaurant in London and has worked on cruise ships. Cindy says her husband learned the trade just by watching other chefs work. “He’s always had a desire to cook,” she says. They met 35 years ago while Cindy was on a cruise out of Florida. He was working on the ship and took special notice of Cindy. The interest lasted much longer than the cruise, and they were married in 1983. They lived in Miami, but during a visit back home to Ashtabula, they went to GOTL and got the idea of opening a restaurant there. Pete Macchia helped them find a building for the venture. Cindy says the place had been a coffee shop operated by a church and need a great deal of renovation to convert it into an Italian restaurant and kitchen. Cindy says her father, the late Frank Nappi, helped them equip the place and promote it to people who would appreciate the style of cooking. Gian’s rapport with the customers and endless supply of stories also broke new ground on The Strip, where customers rarely interact with the chef and they are “just a number.” Early adopters have probably noticed that Gian is mellower than he was 19 years ago, Cindy says. But he’s just as passionate about the food, and he expects his guests to taste their order before they start adding enhancements like salt, pepper or cheese. “He likes you to eat his dish like he made it,” Cindy says. Respecting the chef in this way ensures that the regional Italian flavors are preserved. “People have come back here after visiting Italy and said ‘I visited a place where the chef was just like you, very passionate about the food,’” Cindy says. Cindy takes the orders, makes the salads and serves the alcohol. Helpers in the kitchen try to stay ahead of the large stack of pans that Gian goes through in a typical evening. He starts each meal in a clean pan. He will cook and serve hundreds of pounds of pasta in a week, and although “pasta” is part of the restaurant’s name, Gian also does lamb, veal, seafood and Italian sausage. 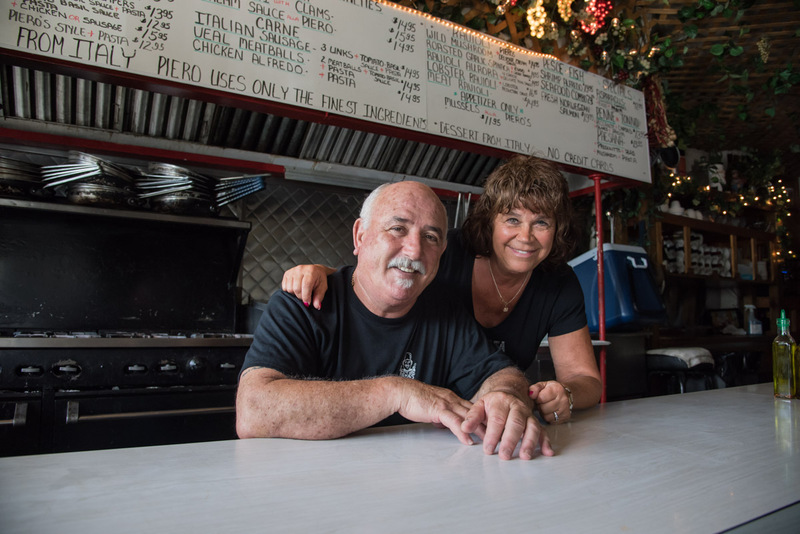 Cindy says her father was surprised to find out that he did not offer meatballs when the restaurant first opened because that was, in most dinners’ minds, the iconic Italian food. But Gian says that meatballs were always a separate dish in his native land, not combined with the pasta. He returns to Italy at least once a year to visit family. Until about 10 years ago, the couple also spent their winters working in Florida. But Cindy says that as they’ve approached retirement, they’ve slowed down, both at GOTL and in Florida. Concurrently, their following on The Strip has continued to grow, keeping them very busy during the six months they run the pasta house. “I don’t think you can beat being here for six months and making a living,” Cindy says.